Last week we took the time to compare the adidas F30 with it’s sibling, the adidas F50 adiZero – this week we’re going to finish off our look at the F50 family with the entry-level adidas F10 football boots! 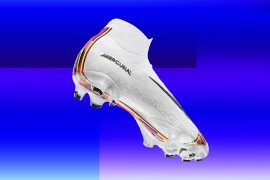 Starting with the functionality of the boot, the Upper is made from a high-density Poly-Urethane that is similar in shape and last to the SprintSkin and the Singmax of the adidas F50 adiZero and F30 respectively. Nowhere near as light as the SprintSkin, this PU upper is nonetheless highly durable, very abrasion resistant, flexible and easy to clean. On the subject of the upper, the keen-eyed among you will notice the stitching across the toes is similar in placement and style to the Leather upper on the on adidas F50 adiZero, giving the boot a distinctive feature over the standard F50 & F30. 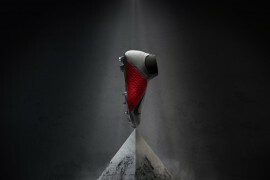 The interior of the boot lacks the internal TPU support bands of it’s two bigger brothers, though adidas are keen to point out that these entry-level speed football boots retain excellent lateral stability thanks to the design and increased density of the PU upper. The adidas F10 soleplate also has a lot in common with the adidas F50‘s, in that it doesn’t has the torsion-increasing ‘struts’ of the F50 running through the mid-foot, rather than the F30 which opts instead for a smooth finish along the chassis to decrease weight. 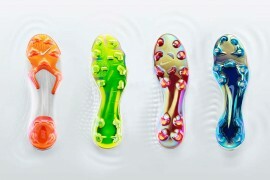 What really sets the adidas F10 apart, though, is the selection of soleplates, as the F10 is available in Soft Ground (pictured) Firm Ground and Astroturf soleplates. The SG configuration benefits from the same hybrid plastic/metal stud system as it’s sibling football boots, the FG gets the same triangular-shaped studs and the Astroturf version has the standard black TRX TF we’ve seen refined over the last few seasons. As for crunching the numbers, the adidas F10 weighs in at 260g, which is almost 100g more than the standard adidas F50 adiZero, but is still very light for an entry-level boot; by comparison it’s a touch lighter than the Mercurial Vapor Victory. As for price, the adidas F10 is available at an RRP of £39.99/$49.99, which is around a third the cost of full-price pair of adiZero’s. 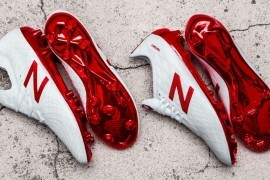 If you own a pair of F10’s we’d love to hear from you in the comments section – sounds off and tell the rest of the Footy-Boots.com readers what you think of these football boots! cos its the lightest and cheapest speed boot money can buy for now? even the vapor V would be around 300 g no? Nike has totally lost the weight war to Adidas. Vapor IV & V is about 280g and we all know how much it costs. Pity there ain’t a F10 Leather version. Just bought the gold Messi version to work in the astro turf winter. will see how they work tomorrow. Giving the “real” Preds a rest until tje beter weather. when i try this on ….i kinda feel that this is lighter than the mercurial miracle ….strange. ?